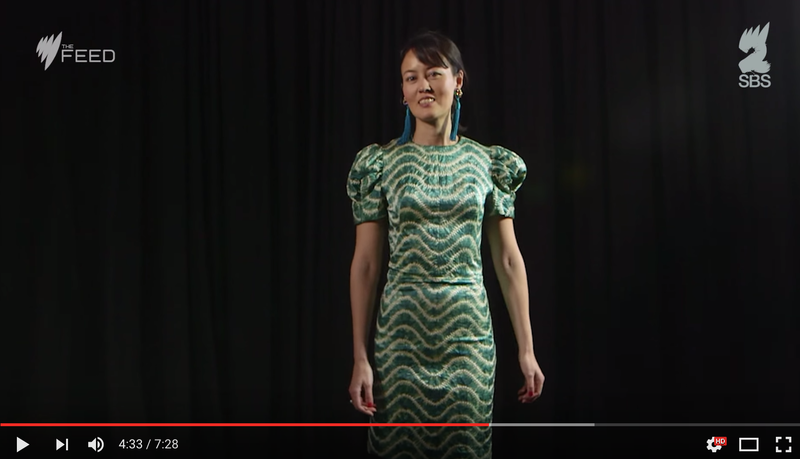 If you follow me on Instagram, Facebook or Twitter, you probably already know this, but I was part of a feature about slow fashion on SBS2 program The Feed last week. 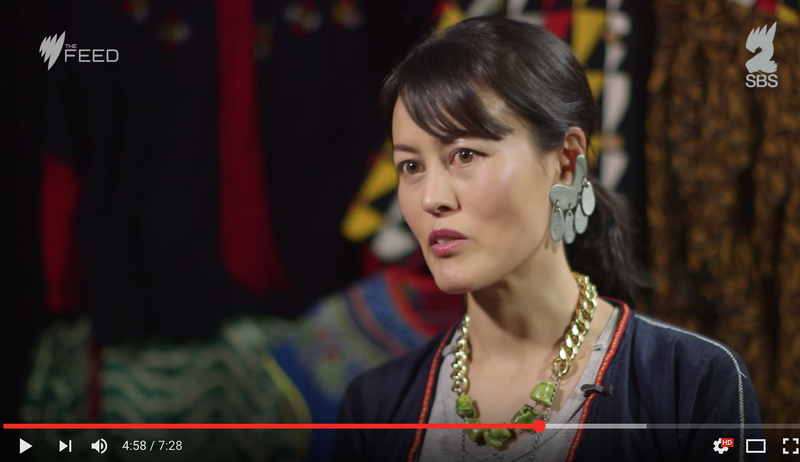 (You can watch the whole episode here or see the slow fashion feature by itself here). 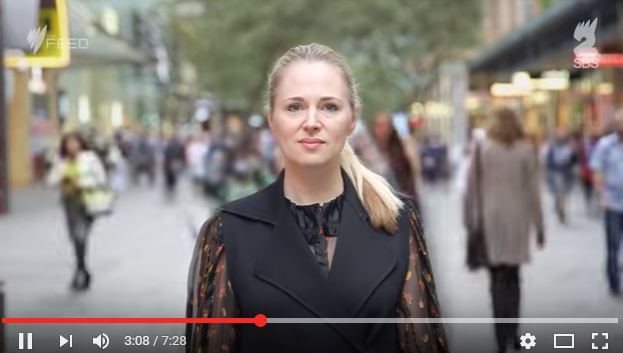 The feature is only 7.5 minutes long but I think the producer, Elise Potaka, managed to provide a great overview of some of the environmental and ethical problems created by fast fashion. 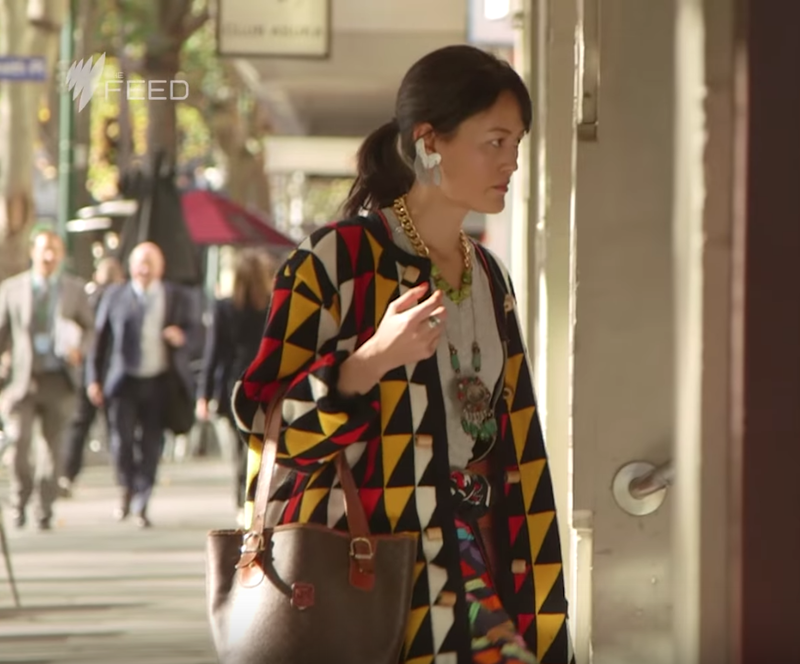 For my part as a “slow fashionista” I was – unsurprisingly – talking about mending existing clothes, DIY fashion and opshopping (here I am walking very determinedly into the Salvos on Bourke Street!). I also got to show off some of my creations, although if you blinked you would have missed that sequence! As I said, the feature was only 7.5 minutes long, which is barely enough to skim the surface of all the sustainability issues created by the fashion industry, so I’ll use this post to provide a few more resources for those who’d like to find out more. I was honoured to be featured alongside Clare Press and can emphatically recommend her new book, Wardrobe Crisis. We met in person a few years ago during one of Melbourne’s fashion festivals (we followed each other on social media before that due to both being crazy cat ladies, loving fashion and both having worked at Vogue) and she was kind enough to send me a copy of the book before it was released. Given the largely depressing nature of the subject matter, I have to admit I put off reading it for a little while, but once I picked it up, I was extremely impressed not only by the amount of research Clare had done but by the entertaining, personable way in which it was presented which made it easy to relate to (Clare even mentions Midsomer Murders and having conversations with her cat… we could just about be the same person!). Whether you have little knowledge about the issues in fashion or count yourself as fairly informed, Wardrobe Crisis makes for a fascinating, informative, at times amusing and quite possibly life-changing read. Behind the Barcode is Baptist World Aid’s free ethical fashion guide which scores Australian labels on their supply chains and is effecting change in the Australian fashion industry. If you’re shopping, you can check how well your favourite brand is doing – and maybe write them an email or make some suggestions if they’re not rating as well as they could be. As far as I can tell, it’s weighted more towards human rights than environmental issues, but as the two often go hand in hand, it’s a good starting point. You can also check Ethical Clothing Australia’s list of accredited brands before you shop and there are apps such as Good On You which are handy to refer to when you’re out and about. Yeah, I’m a bit biased because I write for them! Peppermint is a quarterly fashion and lifestyle publication that showcases brands, personalities and companies from around the world who are making positive contributions to the planet. This blog is run by Jane Milburn and is a great go-to for resources and ideas – among her projects, Jane has sewn a garment a day for a year (!) and is currently running the Slow Clothing Project. (In fact, it was Jane who recommended me to SBS when they were looking for people for the feature on The Feed, after I participated in the Slow Clothing Project.) SBS unfortunately couldn’t travel to Jane to interview her for the feature but she has contributed this blog piece to their website instead and it makes great reading. There are many other blogs and websites out there too for info & inspo, of course, such as Kindness by Design, Fashion Revolution, and, in its own little way, this one that you’re reading right now :). I hope you’re inspired to find out more – and leave some comments here for me and for other readers if you have some good suggestions. That’s amazing!! What are you wearing in your cameo, I’ll have to take a look… funny that you didn’t see us filming but you must have had your eyes on the prize! I know, how did I miss that gorgeous outfit of yours?! But I’m always deeply absorbed when on the hunt and I’ve got my headphones in too so must have been multitasking with an audiobook. Ahhhh… op shops + classic novels = my happy place 🙂 I’m wearing black so that’s no help! 🙂 Hope you managed to find something good!